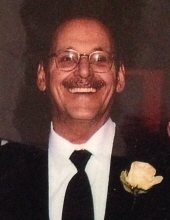 Longtime Chicago area resident and property owner, Robert (Bob) Albert Marks passed away on Tuesday, March 26, 2019 in Marcellus, Michigan after fighting a battle with cancer. Bob was surrounded by family. He was 76 years old. Bob was born in Chicago, IL to Albert and Harriet Marks. He attended St. Ignatius College Prep. After marrying his first wife, Maureen Arens Marks, they moved to Oak Park, where he raised four of his children - Robert Marks, Andrew Marks, Marie Marks O'Bryan and Christopher Marks. Later in life Bob married his second wife, Barbara Kaplan Marks and had twin daughters, Julie Marks and Rachel Marks. Bob is survived by his six children and eleven grandchildren. Bob is survived by his brother Richard Marks and his sister Helene Marks. He is also survived by his best friend and companion, Sonia Rosado. Bob moved from Elmhurst, IL to Marcellus, MI in 2016. He enjoyed raising chickens and fishing at nearby lakes. Visitation 9 a.m. until time of Service 11:30 a.m. Saturday March 30, 2019 at Drechsler Brown & Williams Funeral Home, 203 S. Marion St., Oak Park. Interment Queen of Heaven Cemetery. To send flowers or a remembrance gift to the family of Robert A. Marks, please visit our Tribute Store. "Email Address" would like to share the life celebration of Robert A. Marks. Click on the "link" to go to share a favorite memory or leave a condolence message for the family.